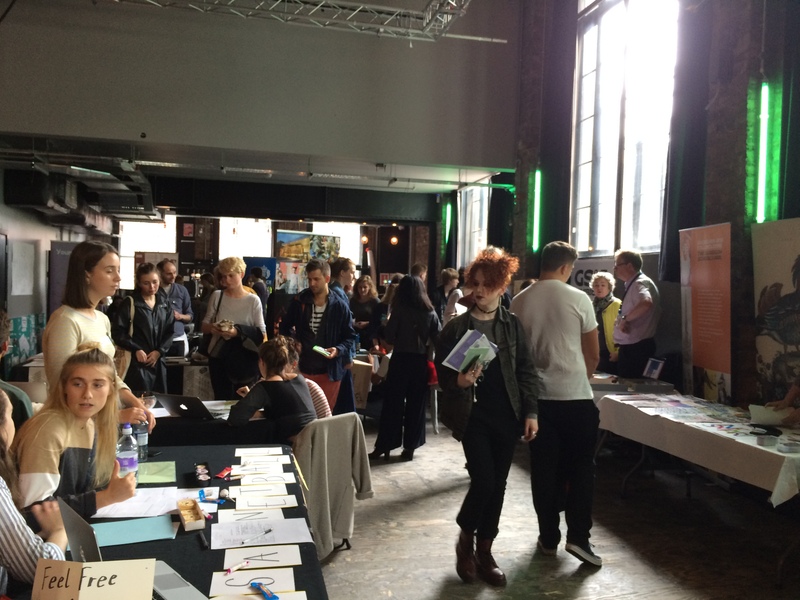 A great big thank you to all those who attended the GSA Fresher’s Fair this past Monday! 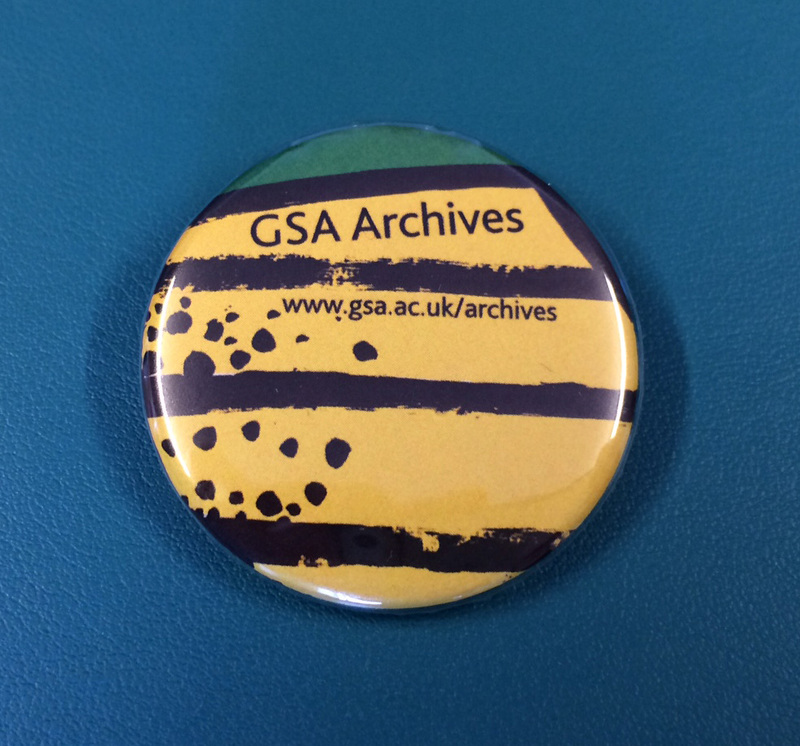 The GSA Archives and Collections team was in force and we had a great time talking to students and staff about our collections as a resource and how they could be used to inspire and inform new artworks. 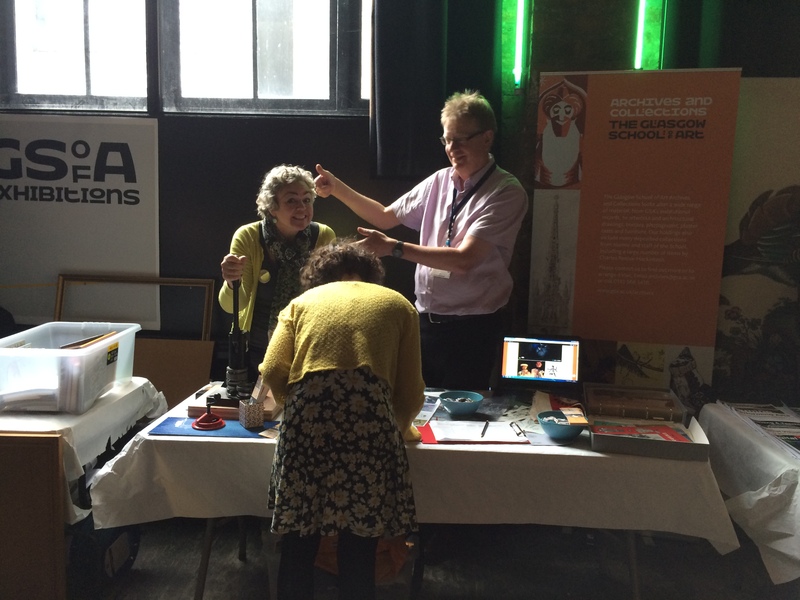 We also had a rather fantastic time handing out and making badges! 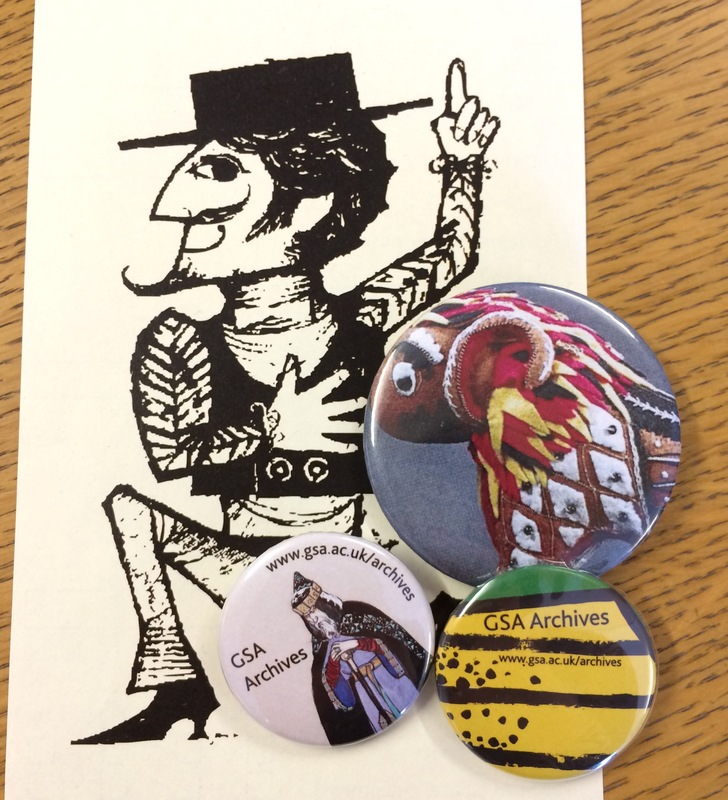 All of these badges are based on items in the GSA Archives and Collections – can you guess where they are from? 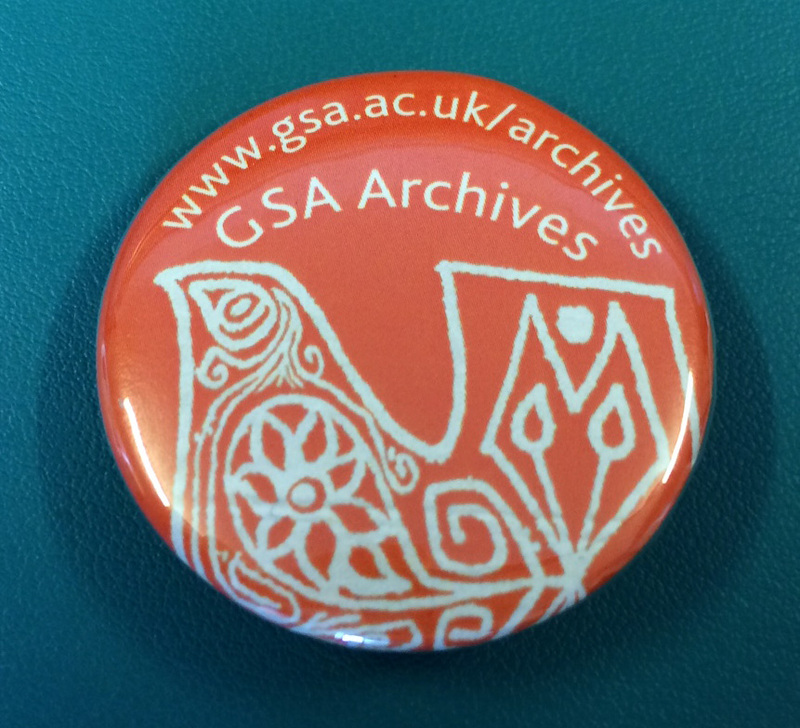 – so keep an eye out for images of the archive passing by on clothes and bags! 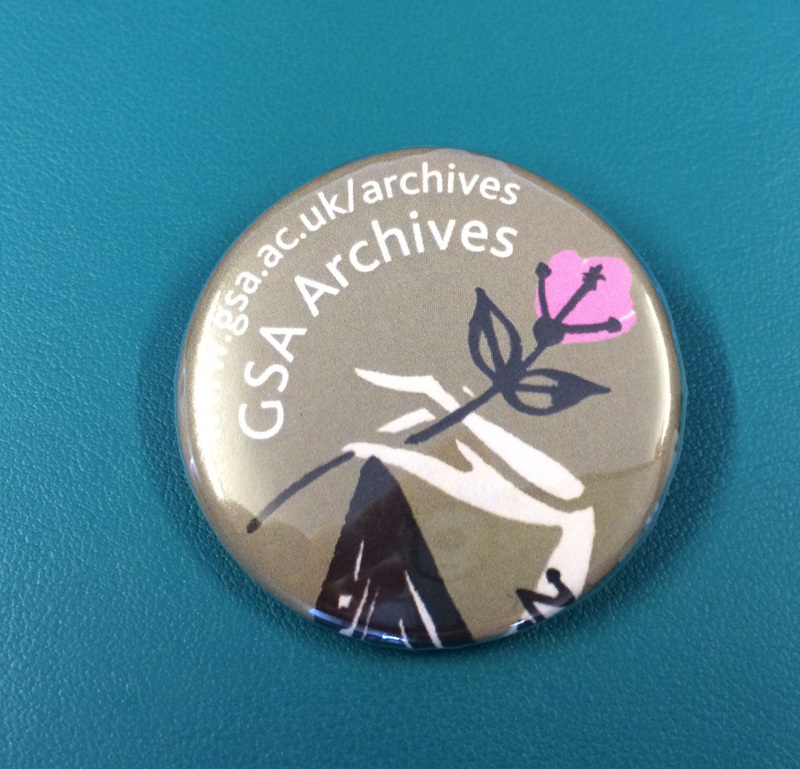 GSA Archives and Collections badges. 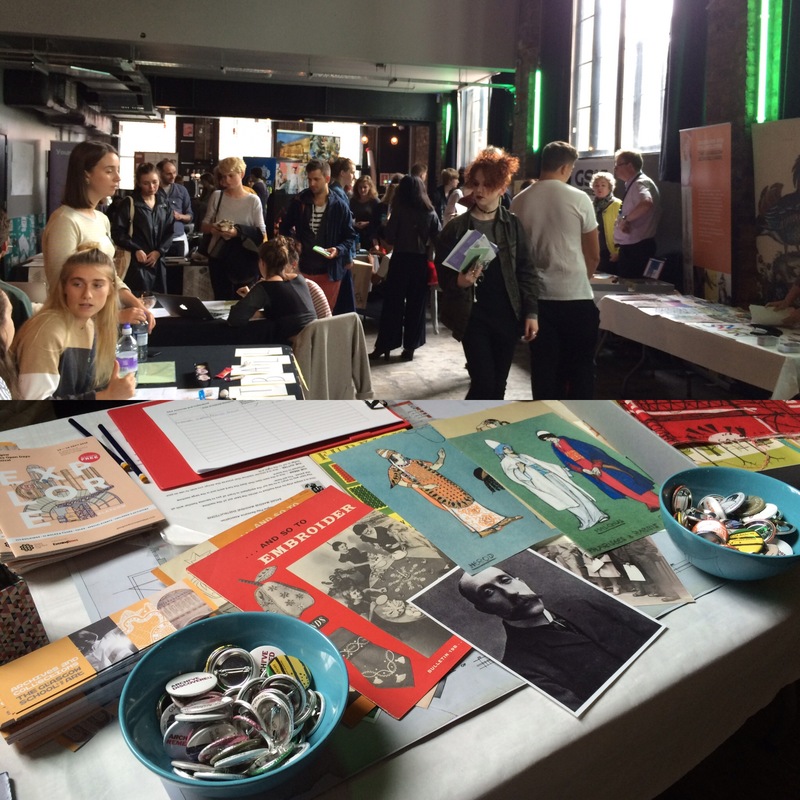 While the Fresher’s Fair is over it was not your only opportunity this week to get a glimpse into some of the unique artworks, architectural plans, drawings, textiles and objects in our holdings. 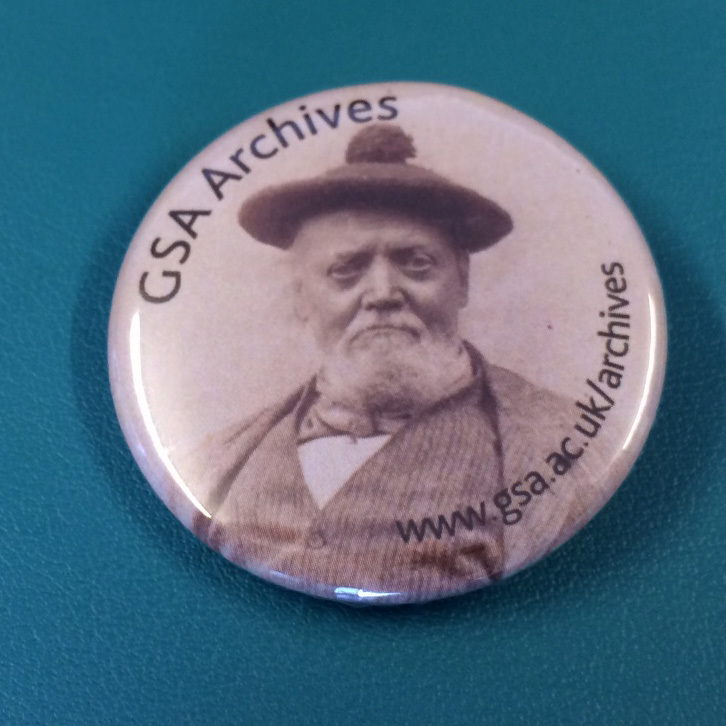 This Saturday and Sunday we will be participating in the Glasgow Doors Open Days Festival and will be displaying a selection of our holdings to anyone who would like to stop by. On Saturday 17th we have teamed up with the Glasgow Sculpture Studios in The Whisky Bond who will be giving tours around the building and stopping off in the Archives to have a chat and see some of our holdings. Booking is essential so if you have not done so already, contact the Glasgow Sculpture Studios to book a place on 0141 353 3708 or info@glasgowsculpturestudios.org. 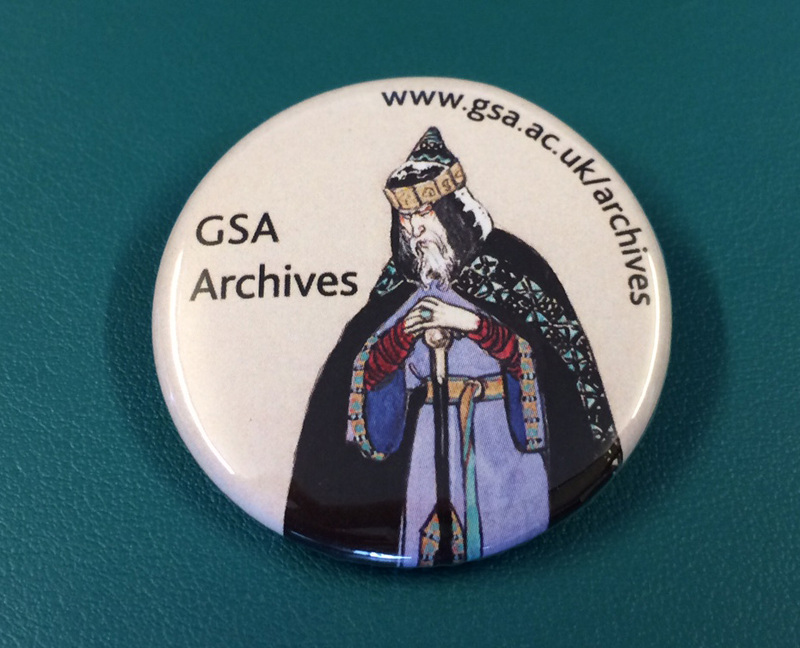 To see some images of the items we will be displaying y you can follow the archives on Instagram at ‘gsaarchives’ (www.instagram.com/gsaarchives/). 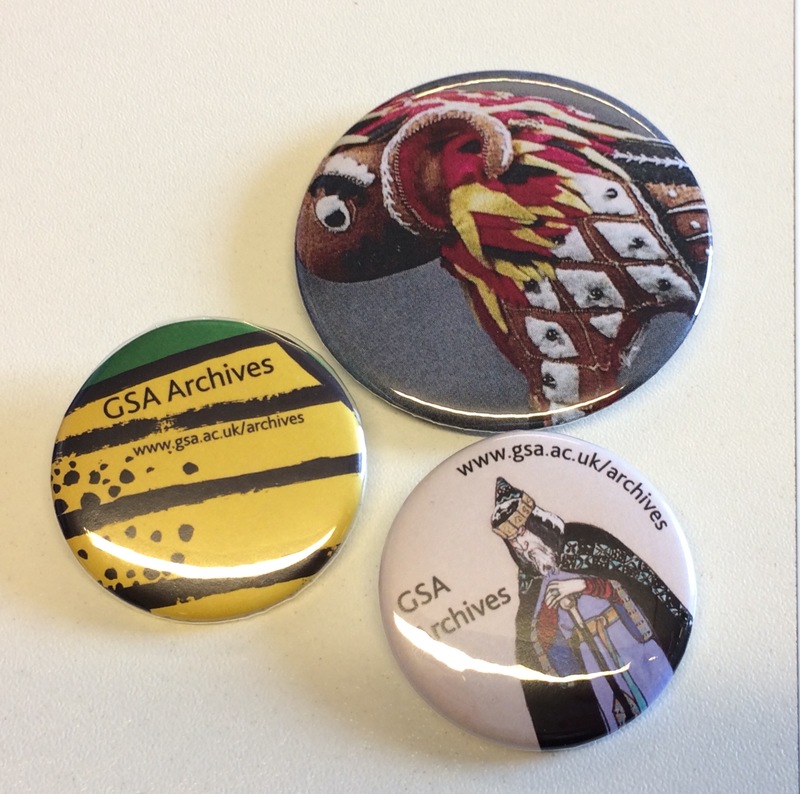 If you can’t make the Saturday we will also be on the GSA campus inside the Reid Building foyer on Sunday 18th with a selection of our holdings. This is a drop-in event and anyone who is passing by should feel free to stop in to have a chat with our Recovery Project Lead Polly Christie and our Curator Peter Trowles. 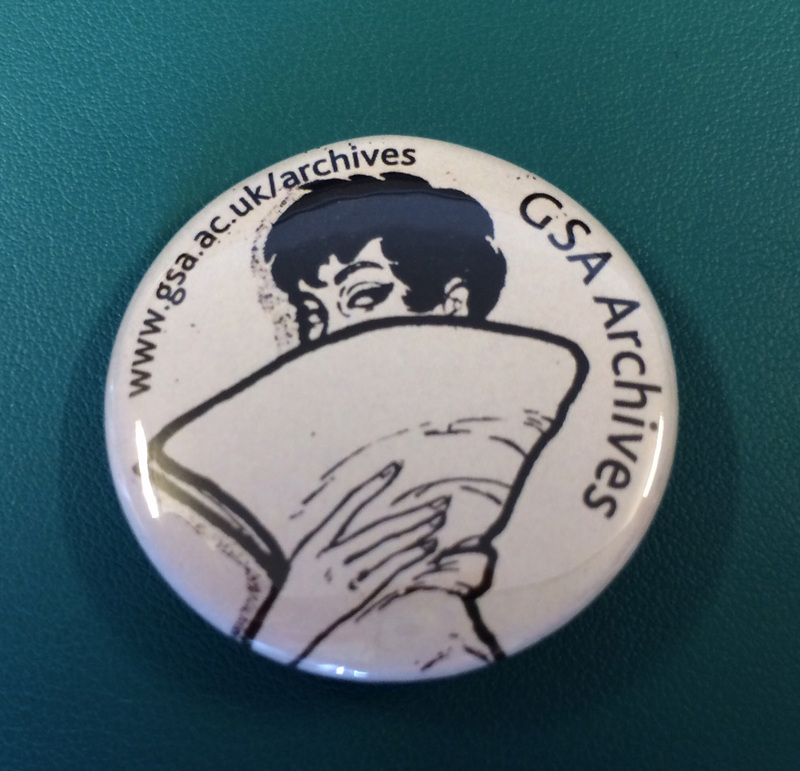 If you follow the GSA banners leading into the building, the GSA Archives team will be present in the foyer beside the reception desk from 10am till 4:30pm. We hope to see some of you then!